Members and Partners will have the opportunity to collaborate with their peers as well as have access to discounts on a variety of events, products and services. Search through the Document Share area for white papers, board minutes, reference materials etc. 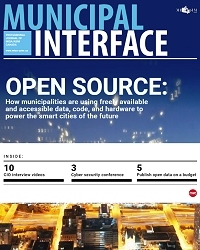 Municipal members get access to understand what technologies & services are being used in other municipalities. New Adobe CLP Agreement - Pleased to share that the new Adobe CLP Agreement for all MISA members. Take advantage of this program by purchasing at the deepest discount level, with no cost to join, no minimum point commitment, no contract obligation - just the pure benefit of cost savings. Need to register your organization? Please select the appropriate section below to join your chapter. Once the Organization has paid its dues, and is active, the Organization can then invite and self maintain its Member accounts using the Organization account. Companies that join the national program also automatically become vendor members/partners/patrons in all five chapters. They have access to national and regional contacts for timely delivery of benefits. We have a responsibility to use public funds in the best way possible through sharing – of everything and anything shareable. We see our MISA membership as being important to that end. I would definitely recommend other municipality MISA members to apply for a board member position. As a board member, I grew as a leader, gained more knowledge from other board member’s experience. Helen McLaren, Director of Information Technology Services for the Municipality of Chatham-Kent. Cost vs. value could not be more appropriate. For a small membership fee, the value you and your organization receive far exceeds the cost.